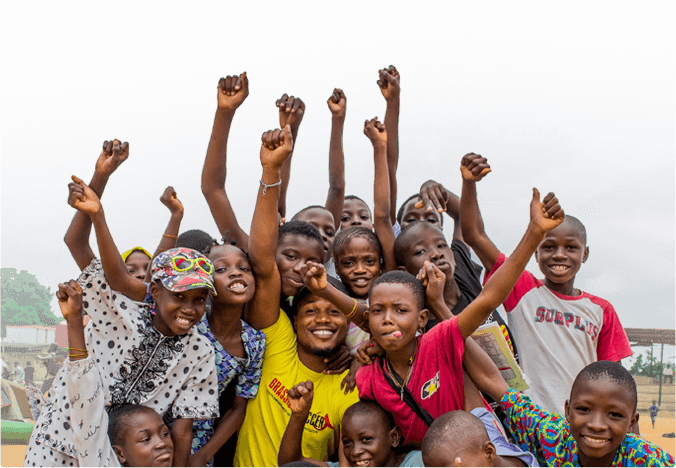 Research has always been integral to our approach, helping to shape our curriculum development, monitoring & evaluation processes, and organizational strategy while contributing to the evidence base of what works in adolescent health. Grassroot Soccer is excited to share our new 2017-2018 Research & Insights Report with you! We presented this research for the first time in July 2018 at the International AIDS Conference (IAC) in Amsterdam. Grassroot Soccer is uniquely positioned to address the adolescent health gap, combining the appeal of soccer with a rigorous, evidence-based approach. Our involvement in research keeps the perspectives and needs of participants at the forefront, and ensures that intentional, adolescent-centered design is the core of our approach. The 2017-2018 research report summarizes some of our completed research activities to date. Contact us for more information. NOTE: Click here to read the 2016 research report. Grassroot Soccer invests significant resources into strengthening our results-based Monitoring & Evaluation (M&E) system to better measure outputs, outcomes and impact. We use evidence from the field and our findings to ensure we intervene in an effective, timely, and relevant manner. We utilize a cloud-based M&E system to measure attendance and change in knowledge, attitudes, and behaviours of participants throughout all GRS sites. We strive to constantly innovate our programs, ensuring we include, listen to, and learn from young people throughout. We have closely linked our M&E to the curriculum design and development process, allowing us to continually refine and innovate our curricula to ensure greater impact. You can learn more about our evidence-based approach in our M&E Strategy summary.